When I heard of him he was already serving a 27-year sentence in the Cuban prisons. He was “the photographer of dissent” whose images spoke on behalf of that emaciated part of Cuba, which they have tried to sell us like a souvenir. From Omar Rodríguez Saludes, now exiled to Spain with his family, the Cuban political police snatched cameras, and confiscated posters where he had reflected a true country with people who laugh and cry, but they could not tear from him his desire to capture life. One day in March, the soldiers who don’t shoot bullets or wear uniforms broke into his home, and deprived us of that wonderful testimonial that Rodríguez Saludes had for when the long night of torture passed. Today, he is in a country where he can breathe free, secure that his eyes and his memory are relieved of the horror he saw in the cell where they put him. Tomorrow he will leave with a device on his chest to photograph freedom, he will sit down to describe what he suffered and continue his journey through life. Sooner or later we will see his photographs, his vision of today and tomorrow, and that will be enough. A man who returns from hell always bring news of life. They took me to a scenic park in the city of Holguin. I accepted the offer of a natural orange juice and we sat at the table. They were two young guys, most likely about thirty years of age. They lived through the hell of the rafter crisis and had returned in solidarity with the Cuban blogosphere. 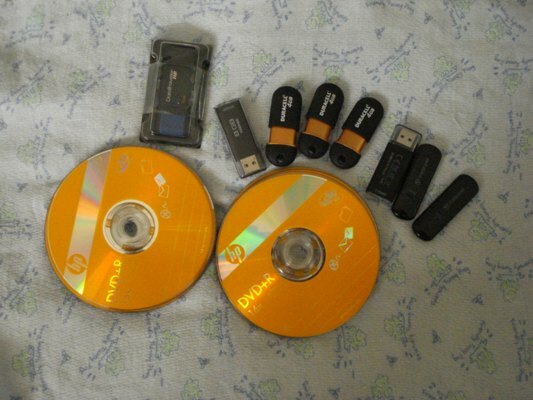 She pulled out a small bag with some Flash Drives while he pulled out some blank DVDs, “So we can fill them up with whatever we like.” That is enough for them, they think, that is enough, I know it’s true. Carrying a few gigs with prohibited movies and documentaries to pass from hand to hand. That is well worth it. “What else can we do”, she asks me. And the question remains lingering and contaminating the air of conspiracy and secrecy. Many things can be done to help a blogger. This example of ingenuity and simpleness is enough in itself. These images have been taken on Sunday of each month and on the 23rd and 25th. It happened on Wednesday night, they told me yesterday, June 22nd, and I give this alert because I do not know what other incident might happen today, which marks five months since the death of Orlando Zapata Tamayo. It started when Caridad Caballero Batista and Mariblanca Avila were in a car headed for Banes to meet with other friends and the family of Reina Luise, mother of the martyr of our generation, Orlando Zapata Tamayo. 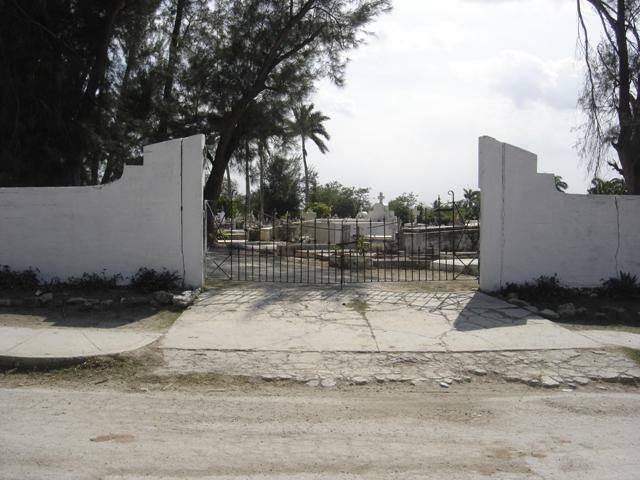 Cari tells the story: Two days before the 23rd we went to help Reina make arrangements at Zapata’s grave and to attend on the 23rd and pay tribute at the end of five months, but we couldn’t reach the family’s house. They stopped the car when it came to Banes. Several policemen ordered us out. I asked why, but there was no answer, just another order, “Get out!” We continued to refuse and told them to explain before all the passengers why they were ordering us to get out. No answer. They attacked Mariblanca and several others and me. They grabbed us, pulled on us, and forced us out of the car. They dragged us along the dusty road and put us into the police car a few yards away. Then they took us down the road to Holguín, but further away to a dark, isolated place and detained us for hours. We were left locked in the car, and when I tried to get my phone to notify family, they saw me. They returned to the car. A new flurry of punches. I have bruises on my breasts and arms because they beat those parts of the body covered by clothing and that generally do not show in public. Then they left and did not stop until we reached the headquarters of Holguin. There I lost sight of Mariblanca. I don’t know if they returned her to her home town, Velazco, or if they kept her in jail. After midnight they returned me to my house. In the morning two policemen were standing guard at my door. They say that even after the 27th I cannot leave. And I know that if I do they will drag me back again to the filthy cell at the G2 operational headquarters. 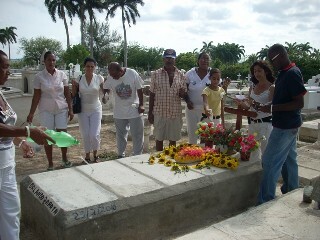 From Banes, Reina Luisa told me a few hours ago: “Today we went to paint the grave of my son and prepare everything in the cemetery for the 23rd, to bring flowers, pray for his soul, and say there ZAPATA LIVES! ZAPATA LIVES! ZAPATA LIVES! From Holguin I offer this, my solidarity. It is the only option left to those of us who live in the interior of the island, where no microphones or foreign journalists show up to witness the ordeal that Reina Luisa lives through every Sunday and every 23rd. Categories Luis Felipe Rojas, Translator: Tomás A. This is about José Cano Fuentes, one of the most active defenders of human rights in Guantanamo. His membership in the Eastern Democratic Alliance has put him in the middle of the most talked about repression of recent weeks. 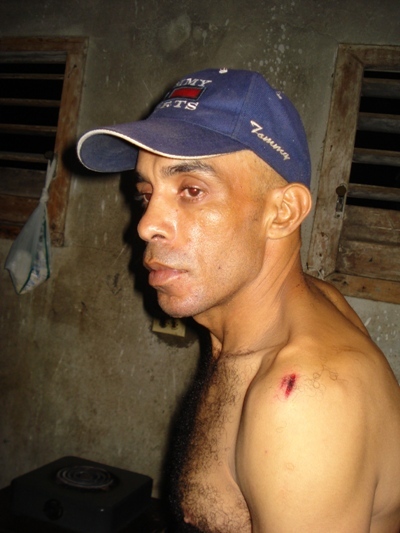 On Wednesday, July 7, when he was returning from supporting Idalmis Reinosa Núñez, who was also beaten and humiliated in Santiago de Cuba, he was intercepted at the Fourth Street Intercity Terminal by the Sector Chief of the National Revolutionary Police (PNR) who took him to the cells of the 3rd Patrol Station. Once inside there, where no one could see or hear or serve as a witness, he was beaten again; Cano Fuentes says that thanks to the intervention of a captain they didn’t beat him into a pulp on the floor. Hours later, battered and bruised he was released. According to Cano, on returning to Guantanamo the police there realized that the dose of Santiago de Cuba belonged to another province and he hadn’t received one from the Guaso. They caught him right in the street. They took him to the police hell that is the Park 24 Station, and general headquarters of the Technical Investigations Department (DTI). Again, there were no witnesses to what his body received once he was inside there. All that was left to tell the story was his voice and his face as a record of complaint. They kept him there until the next day and then released him without charges, but also with no apology from the military. 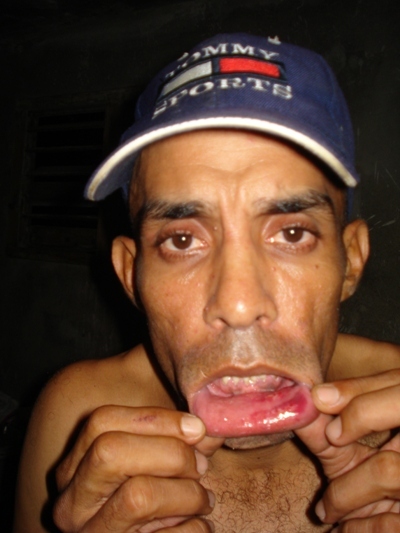 On July 14 they arrested him again while he still had the marks of the previous beatings. This time there were no blows, just warnings not to leave town. On July 14 there was other bad news. Francisco Luis Manzanet Ortiz was forced to return to his native Baracoa. They refused, without any explanation, to grant him the right to visit Guantanamo. Maiky Martorell Mayans, from Manatí, Las Tunas and Asdrúbal Delgado Pérez, from Chaparra in the same province were taken to jail. They also were warned by the police that they would not travel to Holguin and that if they did they would spend several days in jail. 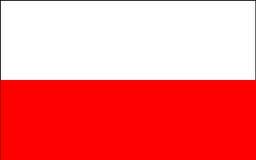 I understand quite well the concern of the authoritarian authorities in my country. 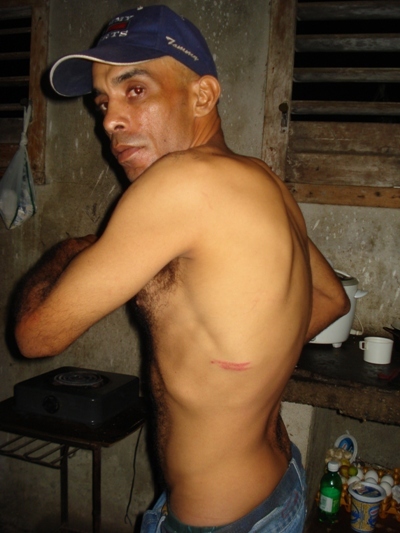 At a time when the government in Havana is putting on its make-up and washing its hands of the political prisoners of the Black Spring of 2003 through exile, the G-2 in eastern Cuba steps up its repression and turns our houses into temporary prisons. What drives them to constantly violate citizens’ right to travel, meet and express ourselves publicly? What drives others to applaud them all the time? What makes so many people look away from the Human Rights violations committed by the Cuban leaders? I don’t have a single answer. I have several. Several days ago the digital site “Rebellion” published an article which bitterly attacked the public actions of a group of men and women in Eastern Cuba who are not incorporated into the country’s Communist system, nor retain ties with any government enterprise or organization. It was referring to the Eastern Democratic Alliance. Among the names that the journalist offered to “prove his case,” I saw mine, accompanied like the others, with adjectives used by the Cuban regime against those of us who take our time without masks or restraints. The journalist who wrote it (Percy Alvarado) has the freedom to do so. 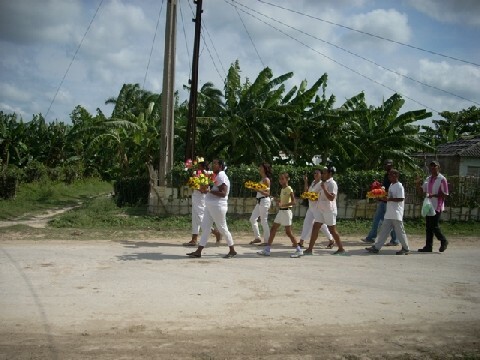 The members of the Alliance have the freedom through my blog of telling a bit of what they have accomplished over the past seven months in parts of eastern Cuba and Camaguey, Las Tunas, Holguin, Granma, Santiago de Cuba, and Guantanamo. Despite the arrests, beatings, restrictions on movement, and closed-circuit monitoring, they all lived to tell the tale. Rolando Rodriguez Lobaina chairs the Democratic Alliance and spoke to me on their behalf.